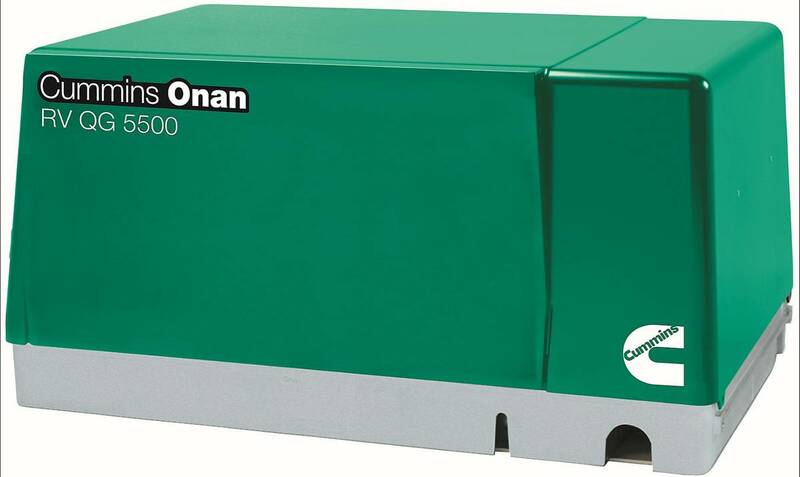 Cummins Onan 5.5 HGJAB-1038 RV Gasoline Generator Set RV QG 5500 is incredibly quiet and has exceptionally low vibration levels making it the quietest generator in its class. The Cummins Onan 5.5 HGJAB-1038 RV QG 5500 has the capability to run two generators with power to spare. Because the 5.5 HGJAB-1038 RB QG 5500 is made by Cummins Onan, it comes with an enclosed muffler, self-diagnostic capability, and digital voltage regulation. This not only makes your life easier since you don’t have to troubleshoot your generator when something goes wrong, and simplifies the user experience. The Cummins Onan 5.5 HGJAB-1038 RV QG 5500 gasoline powered generator comes standard with 2 30A breakers and outputs at 5500 watts and a voltage of 120. Be confident in your generator purchase with our 3-year limited warranty and a lifetime drive warranty. While you’re shopping around, feel free to check out our other Cummins Onan gasoline generators today!